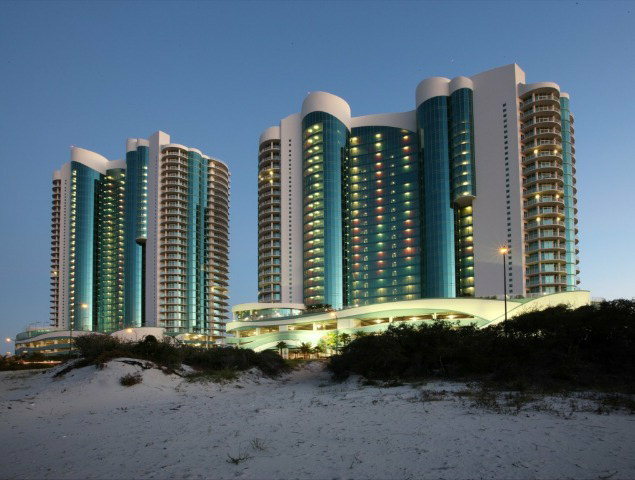 Turquoise Place Resort gulf front condominium home for sale in Orange Beach, AL - this exceptional beachfront property is a Penthouse with over 13,000 square feet directly on the Gulf Coast. This residence features 32-inch marble tile though out to go with 3 cm granite counter tops. Breath taking views abound from beachfront balcony that has more than 8000 sf.. This home also features a detached suite with separate entry. This professionally decorated, luxury home was featured in Condo Owner Magazine.Turquoise Place is a high-end beachfront development with 3-5 bedrooms (each room comes with a private bathroom), full kitchens, wet bars, fireplaces, flat-screen TVs, and gulf-front balconies with hot tubs and grills. Amenities Include: This luxury Orange Beach property has 2 indoor pools and 3 outdoor pools, plus a lazy river (seasonal), indoor hot tubs, a spa, gift shop, fitness center and tennis courts, as well as saunas, steam rooms, a playground and scheduled activities.